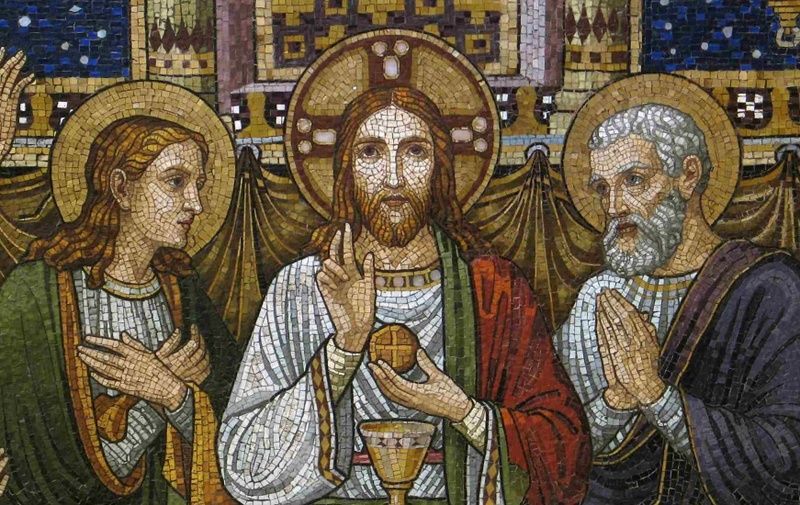 Holy Communion is the real and saving Body and Blood of Jesus Christ, mysteriously made present in ordinary bread and wine, according to the promise Christ made at His Last Supper. Through this wondrous gift, we believe that Christ extends to us the promise of salvation, a strengthening of our faith, the forgiveness of our sins and protection from the assaults of the devil. Ultimately, we hope that everyone will come to believe and trust in these promises as we do here at Shepherd of the Hills Lutheran. However, if you are not at least open to believing in these mysteries concerning Holy Communion, are unwilling to ask God’s forgiveness for personal sins or have not yet been baptized (which ALWAYS precedes one’s participation in Holy Communion), it is best to simply wait. If in faith you genuinely desire encountering the love and forgiveness of Christ in Holy Communion, please be repentant for sins and open to His saving Presence contained therein. You will not be turned away. After Jesus was arrested, which apostle disowned him three times? Sunday Worship — 8:00 a.m. and 10:30 a.m.
Bible Study — 9:15 a.m.